There has been a recent upsurge in musical works which seem to have been written for the purpose of providing an audio background to movies which don’t exist. Or maybe they just don’t exist yet. Perhaps, one day, in the quest for new sources of inspiration, some innovative film maker will start with not a classic novel (or theme park ride…), but, instead, take the roots for their upcoming project from this form of media. If they wanted to create an epic, mournful tale of heart-crushing foreboding, they need look no further. While linked to the metal world, this is no ‘extreme music’ release. The fourteen tracks which comprise Atlantean Symphony are, each and every one, string-led orchestral dirges. There is something equally saddening and uplifting woven into the fabric of the songwriting. Happy memories of those no longer with us. A bittersweet eulogy. This emotional volume travels along via subtle experiments in instrumentation; the fittingly Hispanic sounding guitar work on Embraced By The Light Of The Final Dawn and A Reflection Of Rebirth Through The Eyes Of The Forlorn, the haunting piano in The Opening Of Eternity and Tears Of The Enlightened, the ethereal vocals of Into The Temple Of The Elements. Throughout, certain passages are also occasionally embellished with lonesome bells, drums, and gongs to great effect. There are no technical flourishes or showboating virtuosity here. Simply moving music, rich with feeling. While I said earlier that this was not an “extreme music” release, that doesn’t mean it isn’t “heavy” in its own right. I can recall coming across the theory, in a number music interviews, that heaviness is a state of mind, and in that respect, Dreamfire seems to fit the bill. While coming from a more tribal background, artists like Wardruna and Heilung have proved popular with metal audiences for this very reason. Atlantean Symphony could well be their classical music counterpart. 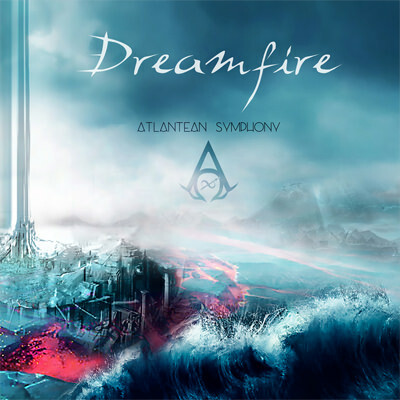 Posted in Latest News, Reviews and tagged Atlantean Symphony, Dreamfire, Reviews, Slow Dragon Music.